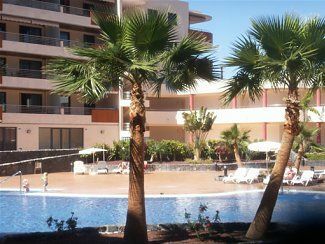 2 bedroomed apt on lovely modern complex with pools. close to seafront and all shops, restaurants, bars, cafes and activities. choose from the sea view apartment with its splendid sea and pool views from every room - to watch the sunset can be stunning! two bedrooms, large furnished balcony. or The garden apartment with its fifty sqm terrace adjacent to the landscaped pool area yet totally private (screened by the gardens) with full length sunbeds for your use. A safe and roomy haven for families with children! Both apartments have sunny terraces winter and summer. lovely pool areas with separate adults and children’s pools. both are beautifully furnished with good quality, contemporary furnishings. the master bedroom's have an en suite bathroom and there is another separate shower room opposite the twin bedroom. both bedrooms have ample drawer and wardrobe space. excellent quality bed linen provided alongside all bathroom towels and beach/pool towels. we also provide 'fast speed' hair dryers! the kitchen is modern and fully fitted with large fridge/freezer, dishwasher and washing machine. the lounge has ample seating, flat screen tv with all uk channels, dvd player and docking station. there is free wifi on our terraces and also around the pool area. we supply mattresses and towels for the communal sunbeds - of which there are many along with sun umbrellas - no race for a sunbed in the morning here!! adults and separate childrens pools. all clean and well looked after. this is a very well ran complex! A car is not needed. we also have golf clubs and tennis racquets for your free use. Please contact owner for current cost for your chosen dates and requirements. 07876 045766 .Bookings are made direct with the owner - not through this site - just press "Enquire now" in the right panel. Please note Owners Direct prices are approximate guide prices only and vary with time of year. Direct airport transfers available..
puerto santiago and los gigantes are very upmarket resorts within tenerife. there are lots to offer for familys and couples. most people visit more than once!! toilet, combination tub/shower, bidet, en suite to master bedroom. plenty of free parking in the surrounding roads. bathroom and beach/pool towels and mattresses! many modern lifts for your use. nicely furnished with wide screen tv - all uk channels. large fridge with large integral freezer compartment. you can dine indoors at the breakfast bar or outside on our dining table with views over the pool area! many golf courses. clubs available. crazy golf locally. Notes on accommodation: We include in our price all bed linen, bathroom towels and beach towels! There is a safe and air conditioning. We also leave for your use, tennis racquets, golf clubs (on request), mattresses for communal sunbeds, iron and board, fast speed hairdryer, . The apartment is comfortable nicely decorated and very well equipped. The location on the ground floor is perfect. The sun is on the well furnished patio all day. The patio faces the pool area separated by a small tropical garden which provides privacy and shade. The complex is very clean, well maintained and secure and quiet. It is very close to some lovely places to eat and a large supermarket is a five minute walk. There is a residents library just down the corridor in case you forget your holiday reading. This apartment takes relaxation to a whole new level. The owners could not be more helpful and provide lots of helpful information about the surrounding area. They will even arrange transport from and to the airport if you wish. They provide you with the phone number of a local lady in case of any problems. We have been there three years running now and never needed to use it. Can't recommend this property highly enough! Hi Nora, thank you so much for your kind words, it’s always a pleasure to deal with you and your family! Beautiful apartment. Could not ask for better. Spotlessly clean with well supplied kitchen. Super comfortable beds. Fabulous patio with high end furnishings as does living area. Loved being able to use different zones in patio area eating , lounging and relaxing on sofas. Best sun lounger cushions ever. Stayed in this complex many times before but this was the best holiday experience there. Deborah could not have been more helpful, kept in contact and kept us updated. Transfers also arranged and were great. Cannot wait to go back and will stay longer. rebooked already for later this year. what more can we say? we have always loved this part of tenerife. less crowded but beautiful with lots of good restaurants and bars. this apartment is one of the best we have stayed in. it is difficult to get in as lots of people rebook immediately as did we this time. Thank you. Delighted you had a great time! a very well ran and clean complex. very pretty gardens. attractive pool area. lots of sunbeds and umbrellas so no rush to 'bags' a bed daily. the apartment was wonderful. very well looked after with good quality furnishings and bedding. couldn't complain about a thing. we will go back and have recommended it to several friends. we are situated in an area of natural beauty. we get many many repeat guests. we are not an overdeveloped resort, but, we are an upmarket tradtional area with lots to offer! we dont have many big hotels, we are mainly apartment complexes and private villas, hence we have lots of bars and excellent restaurants and we are known for being a friendly resort! you woudnt be disappointed with your stay here. we tend to have mainly familys and couples. we dont have any nightclubs - but a taxi to adeje/los cristianos is only 25 euro. it is a safe and relaxed resort with many facilities. Puerto Santiago beach 5 mins walk. Los Gigantes beach 10 mins walk. Playa del Arena beach 10 mins walk. (blue flag beach). Natural rock swimming pools 5mins walk. Lovely manmade coastal walks close by. Tenerife Sur airport is 30 mins drive. Tenerife North airport is 90 mins drive. Car hire not necessary. we can arrange transfers from the airport on your behalf. several large and well stocked supermarkets near to complex. Other shops of all kinds within a few mins walk. We are surrounded by excellent restaurants and bars. Taxi’s are available easily and inexpensively! Church square, marina and centre of Los Gigantes 10 mins walk. please note the prices quoted are for the seaview apartment. the garden apartment carries a supplement. a deposit of £200 would be required to hold the property. the balance is due 2 months before departure. we also ask for a refundable £75 key deposit.